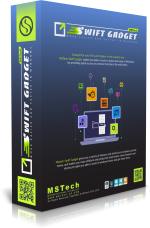 MSTech Swift Gadget 2.2.4 was available as a giveaway on April 13, 2019! How would you improve MSTech Swift Gadget 2.2.4? 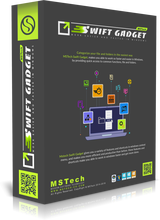 We are offering MSTech Swift Gadget for free, you can feel free to install and try it. Then you will be the right person to judge the comments. Downloaded, installed, & registered on Win 10 - 64bit. Would not start. Wanted to try reinstalling, but you warn against doing that. 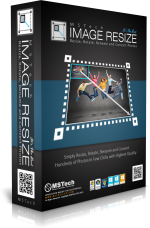 I would like to try this software out, but cannot do so. It is now 1:15 A.M. & I am going to bed, so I cannot wait for reply. If it does not work tomorrow, I will be forced to uninstall it. I hope it works. Thanks for your comment, the software is working properly. Please feel free to contact our support team. they will be happy to help you run the software. "Have The[sic] Functionality[sic] of More[sic] than 10 Software[sic] in One[sic]." This does not inspire confidence. It's strange that the software gets an 86% positive rating, and yet not one positive comment. Let me add my negative comment....I tried to watch the recommended youtube explanatory video and found it worse than useless. The video is so blurry and unreadable that it wasted my time. One can only go by what one sees and since I couldn't see anything I've lost some faith in the manufacturers of the product. I admit I'm not motivated to download and try it; however I will disqualify myself from voting. 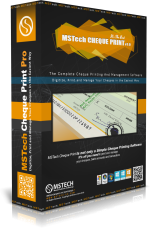 Thanks for your comment, we recommend you to install and use this software for free. We hope, you will be the next one who gives us a "Like". Too convoluted in order to set up a playlist. Finally figured it out, but requires extra steps than should be necessary. Does not handle ALL various audio files. Did not find nor recognize any FLAC files. All I could see were the mp3 files I have. None of the other ones. Went to search for image files and it found none. Did not allow me to change the directory easily. Have to start at the beginning screen. Why can't you simply offer a dialogue asking for the directory to search when a user asks the program to find things. As to various things getting added to the "next" version, which you have to buy, why not wait until the next version is released and then offer THAT one for free. As it currently exists, the program is not polished enough to warrant me paying for promises before I can test them out. Simply is not easy or time saving enough to keep it. Thanks, nonetheless, for offering it for folks to at least take the current version for a trial run. Didn't need GAoTD however, to do that. Voting thumbs down for now. Uninstalled. Short review. (Could be longer, but I will focus on dealing with various audio and image files.) Too convoluted in order to set up a playlist. Finally figured it out, but requires extra steps than should be necessary. Does not handle ALL various audio files. Did not find nor recognize any FLAC files. All I could see were the mp3 files I have. None of the other ones. Went to search for image files and it found none. Did not allow me to change the directory easily. Have to start at the beginning screen. Why can't you simply offer a dialogue asking for the directory to search when a user asks the program to find things. As to various things getting added to the "next" version, which you have to buy, why not wait until the next version is released and then offer THAT one for free. As it currently exists, the program is not polished enough to warrant me paying for promises before I can test them out. Simply is not easy or time saving enough to keep it. Thanks, nonetheless, for offering it for folks to at least take the current version for a trial run. Didn't need GAoTD however, to do that. Voting thumbs down for now. Uninstalled. A real chore to install (win 10). Tried to run it and it never displayed. Followed all directions. So I uninstalled. Rating 1 out of 10. Or, 10%. Thanks for your comment, but the software is working properly on windows 7, 8, 8.1 and 10 (both x86 and x64). If you have any question or need support to install and sun the software, please don't hesitate to contact our support team at "support@mstech-co.com". They will be happy to help you install and run the software. Thanks for your comment, but as you described in your comment, I guess there is something wrong with the fonts on your system, not the setup file. Please contact our support team, they will be happy to help you on this. Mary Johnson, My fonts? Your installer installed a seperate font program that uninstalltool detected so don't get me started about fonts. These scrunched windows effected the rest of my system until the software was removed. 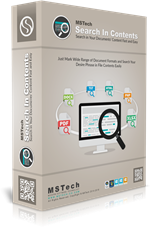 There is no font program in MSTech Swift Gadget setup, there is a separate setup embedded in the "software setup file" which installs the software required fonts. Also, the main font used in the software (fields, labels and main parts) is "Tahoma", which is a system font. In case if there is any harm to the Windows Fonts by installing this software, it will not be resolved just by uninstalling the software. You have to do some more actions to repair your Windows Fonts. Since your case is a rare case, we would appreciate if you can send a screenshot of the issue to our support team at "support@mstech-co.com", they will be happy to assist you on this matter. Your comments are valuable for us, and be sure we will spend time to read all our users comments, and we use their comments to improve our products' performance and make them satisfied. This giveaway offer doesn't cover support, but we are committed to solve your problems. None of the installer text was visible accept for check boxes and buttons. 2- You can delete windows update files, from "Disk Clean Up" window and using "Clean Up System Files" option. Mary Johnson, writing software that can only be installed on C: drive isn't due to dependencies, any developer worth their salt could over come these if the put a bit more thought and planning in to their work, there is always a workaround if you step back and look at the big picture. I won't install any software that let me put it where I want it .... My machine, my rules! Mary Johnson, "only 300MB"... it is only one piece of software! I have over a hundred programs that all togther do not consume "only 300MB"! In this day and age programs should be able to be installed on any local drive letter in any user defined folder. Many systems nowadays only have a small SSD C: drive and have a secondary larger drive that users would prefer to put large programs like yours and large user data files on. Mary Johnson, "only 300MB"... it is only one piece of software! I have over a hundred programs that all togther do not consume "only 300MB"! In this day and age programs should be able to be installed on any local drive letter in any user defined folder. Many systems nowadays only have a small SSD C: drive and have a secondary larger drive that users would prefer to put large programs like yours and large user data files on. Mary Johnson, "No Free Support"
so... how much is that help gonna cost? Mary Johnson, "No Free Support" so... how much is that help gonna cost?